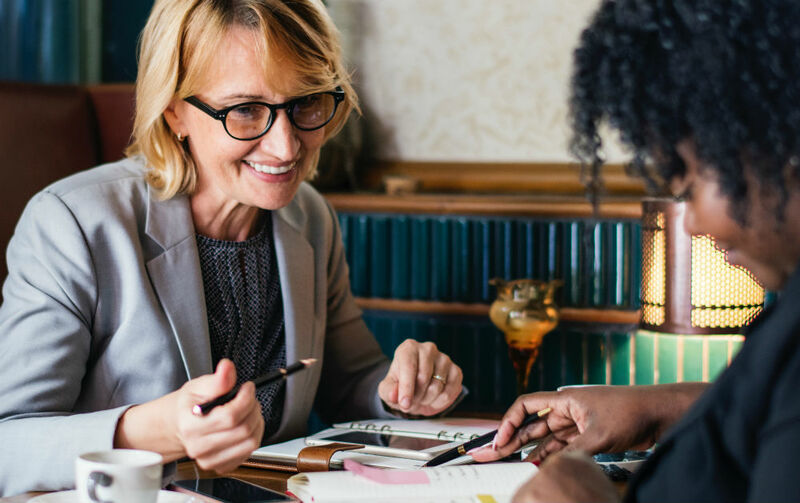 Finding the right resources to fill the growing talent gaps in your changing workforce is becoming an increasing difficult challenge. 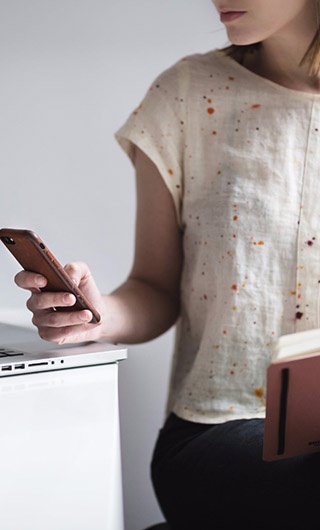 Leveraging the contingent workforce provides access to a vital source of quality talent, but it also comes with a number of operational, financial and legal challenges and risks that must be carefully managed. 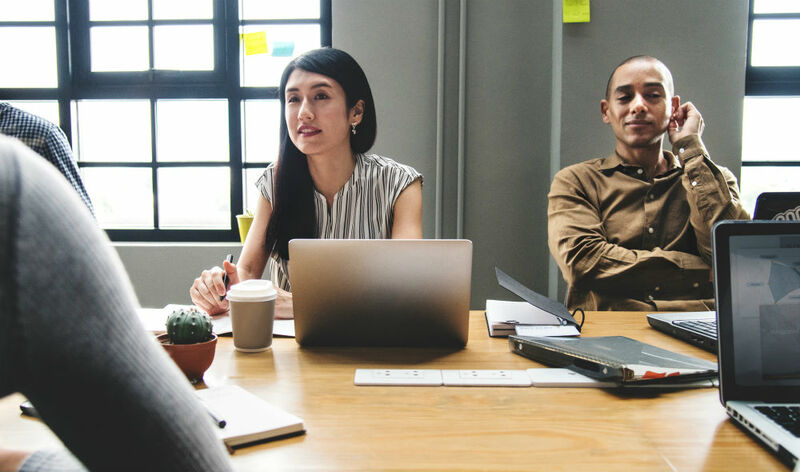 Why do organizations partner with a Managed Services Provider (MSP) to support their contingent workforce management objectives? The complete contingent workforce lifecycle impacts many stakeholders within one organization, both internally and externally. It has strong implications for Finance, IT, Talent Acquisition, HR, Procurement, Risk and general lines of Business. Furthermore, vendor management technology is necessary to enable your organization to manage this workforce effectively. Organizations quickly realize how helpful an expert advisor like HCMWorks can be in successfully supporting them through this transformation. So what is a Managed Services Provider (MSP) Program? 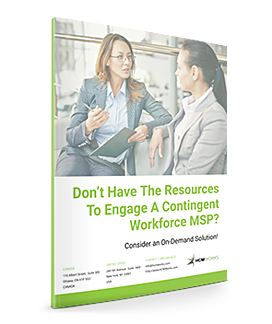 A contingent workforce MSP program is an outsourced solution managed by an external firm such as HCMWorks, that combines process, practice and technology. It allows you to centralize and consolidate all your non-permanent worker spend under one program, so you can optimize the entire workforce, for increased visibility and control. The HCMWorks MSP program enables you to easily streamline, simplify and manage the contingent workforce supply chain from requisition to payment and every process in between. The outcome is increased visibility on contingent headcount and spend, reduced costs, greater and timelier access to talent, as well as greater compliance with federal, provincial and state regulations. 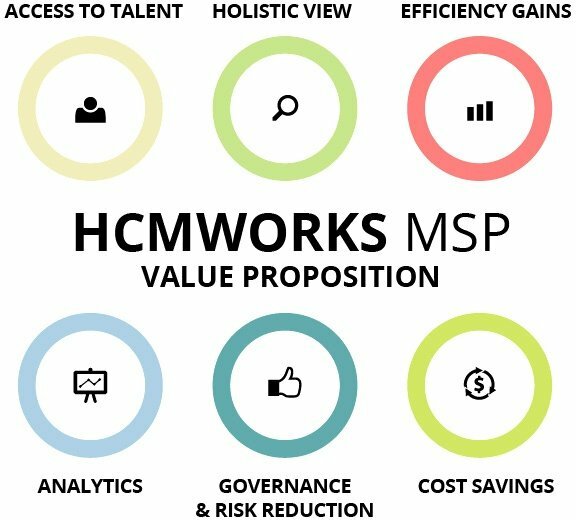 The HCMWorks MSP program enables you to easily streamline, simplify and manage the contingent workforce supply chain from requisition to payment and every process in between. Visibility, savings, compliance and control. Quicker access to higher quality talent through staffing vendors, directly sourced candidates and other instruments. Creation and enablement of multiple sourcing channels (Staff Augmentation, Statement of Work, Directly Sourced, Freelance networks etc.). Better contingent worker accounting with a clear and comprehensive view of contingent headcount, spend, staffing vendors performance and more. Streamlined and automated end-to-end process (from “req to check”) that reduces costly billing errors, speeds up time to fill, and eliminates the chaos and complexity of the contingent workforce supply chain. Better cost control through healthy competition amongst staffing vendors. Detail reporting and workforce analytics providing key insights to make better and more informed decisions. Greater protection against third party risk and misclassification challenges and potential class action lawsuits across all categories of non-permanent workers. HCMWorks has developed a custom HCMNow solution that can easily be implemented and used by some types of clients. With minimal implementation and post-implementation costs, HCMNow is a tool that centralizes, tracks and manages all of your non-permanent resources in one accessible location for ease of analysis and forecasting. This service was designed to be comparable to a full contingent labor Managed Services Provider (MSP) program but only on an on-demand basis. 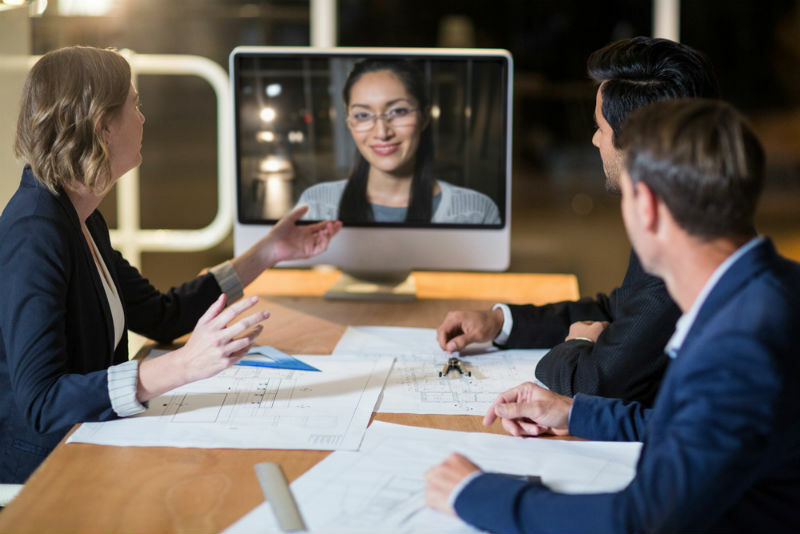 A plug-and-play MSP solution could make the lives of CHROs, VPs of HR, Directors of Talent Acquisition, and Procurement Leaders a whole lot easier. This white paper delves into the many benefits of having a turnkey MSP program that involves no cost to you and no major input from your IT teams.